Memories of boring, unproductive childhood piano lessons probably still haunt many American adults. 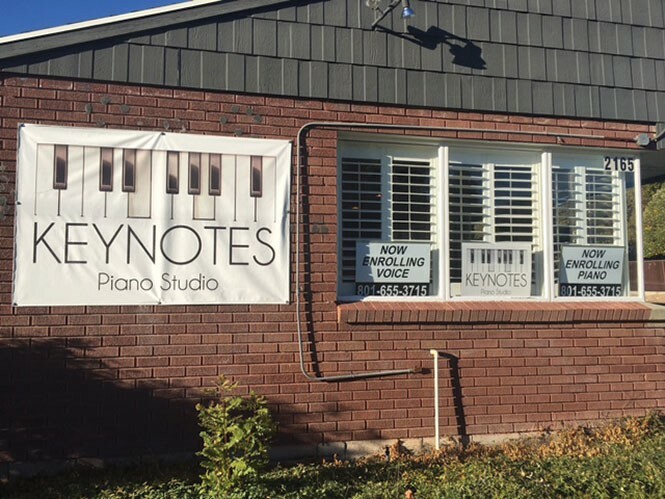 The people at Keynotes Piano Studio want to change that for the current generation by offering a fresh, unique approach to piano and voice lessons. "We believe learning to play the piano should be fun!" says Melissa Madsen, co-owner of the Sugar House location. Keynotes was started in Holladay by friends of Madsen. "Krista Numbers and Margee Connolly have created a brilliant program," she says. When they were looking to expand, Madsen and her husband Tony jumped at the opportunity and started their own studio in September 2015. The Sugar House location offers several different rooms where beginner lessons are held. In the "theory room," kids can learn the basics in an interactive way. There's also a room dedicated to sight-reading, and another for ear-training, creating a holistic approach to learning music. "Everyone learns differently," Melissa says. Their system focuses on keeping kids engaged by utilizing different methods and focusing on a variety of skills. "Our students learn music reading, ear training, theory, chords and improvisation in a one-hour lesson each week." Both the Madsens have extensive backgrounds in the performing arts, with Melissa managing the voice program and Tony managing the piano program. Tony has been playing for 26 years and composing for 21, with additional experience as an elementary school teacher who incorporated music into his lessons. Melissa trained in voice at the Perry-Mansfield Performing Arts School and studied theater and voice at Brigham Young University. "I've been able to play many roles that I've loved," she says. "Cinderella, Fantine in Les Misérables, Kim in Bye Bye Birdie, to name a few." She believes the methods employed at the studio make the experience much more fun for kids. "Students are excited to come each week, pass off their songs, pass new levels off," she says. "They get excited when they have reached a new level and are able to play or sing their favorite songs." 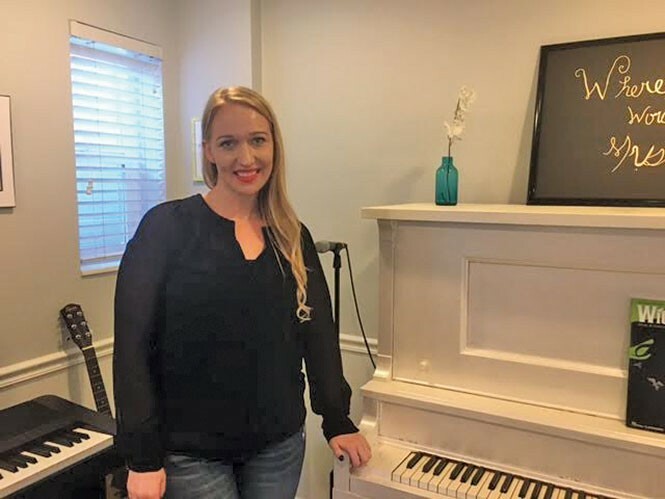 Monica Rasmussen, a teacher here who has a bachelor's degree in piano performance and a master's degree in choral conducting, loves the program. "It is structured, but it allows me to be flexible with each of the students so I can reach them at their level," she says. Those interested in enrolling their kids in lessons should check out the Keynotes website. The Sugar House studio is also looking to start a choir and add theatre classes at the beginning of 2017 to provide more opportunities for students who love the arts and eager to learn more.